At any given moment, there are approximately a zillion crowdfunding campaigns on the web. Take a visual stroll through Kickstarter or Indiegogo, and you’ll find no shortage of weird, useless, and downright stupid projects out there — alongside some real gems. In this column, we cut through all the worthless wearables and Oculus Rift ripoffs to round up the week’s most unusual, ambitious, and exciting projects. But don’t grab your wallet just yet. Keep in mind that any crowdfunded project can fail — even the most well-intentioned. Do your homework before cutting a check for the gadget of your dreams. Over the years, countless designers have tried to come up with a suitable alternative to the traditional shoe lacing system, but very few have gained widespread popularity. There are Velcro straps, coiler laces, Zubits, Klots, and Nike even makes a set that will automatically tighen around your foot when sensors feel your heel hit the sole. But this latest system might be the simplest and most appealing one yet. 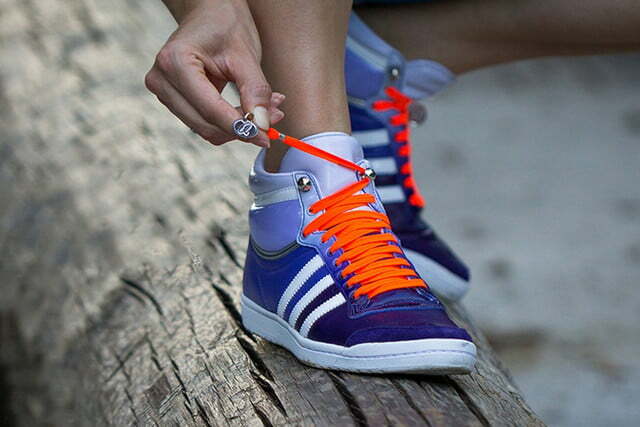 The QuickShoeLace system, created by Slovenian designer David Knez, is notable for two reasons. Number one is that, once installed, the system allows the wearer to tie their shoes with just one hand. Number two is the fact that, despite being easier to secure than traditional shoelaces, QuickShoeLaces somehow don’t look dorky on your feet — which definitely can’t be said for most other “easy lace” solutions. Just think of all the stuff you’ll be able to do with that free hand! According to the American Cancer Society, skin cancer kills one person every hour across the globe — a staggering number. Yet, despite our knowledge of the deadliness from excess sun exposure, many of us don’t make the effort to protect ourselves from it. Why? Well, part of the problem may be that it’s not really the easiest thing to see until it’s too late. But a startup by the name of Nurugo wants to change that, and has built a clever new device called SmartUV to help. 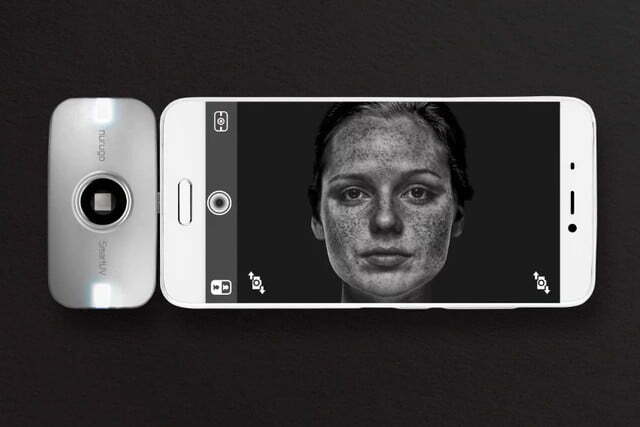 The device, dubbed the SmartUV, is a camera attachment for your smartphone that allows users to see themselves in the UV spectrum, which is invisible to the naked eye. 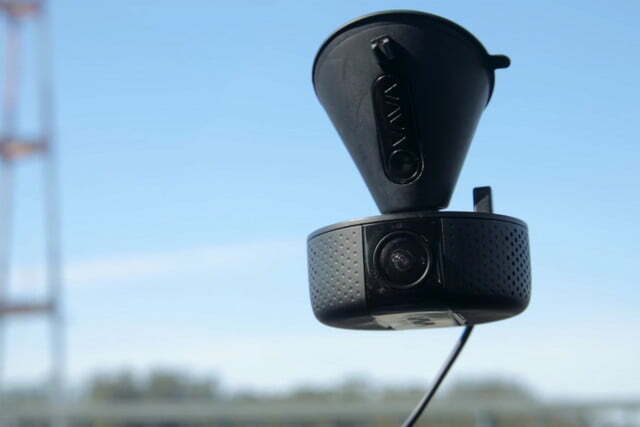 Dash cams are a dime a dozen these days — and for good reason. They’re arguably one of the smartest and most valuable accessories you can add to your car. In the event of an accident, dash cam footage can prove invaluable for insurance purposes, and can help settle disputes if you ever find yourself in court over something that occurred on the road. But not all dash cams are created equal. The recently-announced Dash camera from portable speaker manufacturer Vava might just be one of the most versatile dash cams to date. The sleek unit combines 1080p HD video with a 140-degree field of vision, ensuring whatever happens to your vehicle will be captured, day and night. If a collision occurs, the Dash’s built-in G-sensor recognizes the impact and automatically saves the footage surrounding the incident. One of the most unsettling revelations to come from Edward Snowden’s leak of classified documents is the NSA’s ability to hack into our webcams. Just as many people suspected, the agency has tools that allow it to take over devices, hijack microphones, snap clandestine photos, and even record videos. For this reason, its fairly common for people to put stickers and tape over their webcams when they’re not in use. But now there’s finally a better solution. The creators of the Internet Security Camera Cover (ISCC) tout it as “the world’s thinnest, most ergonomic, and seamless mechanical webcam privacy cover.” At just 0.028-inches thick, the ISCC is thinner than a credit card, so it won’t snag on pockets or bulk up your device. 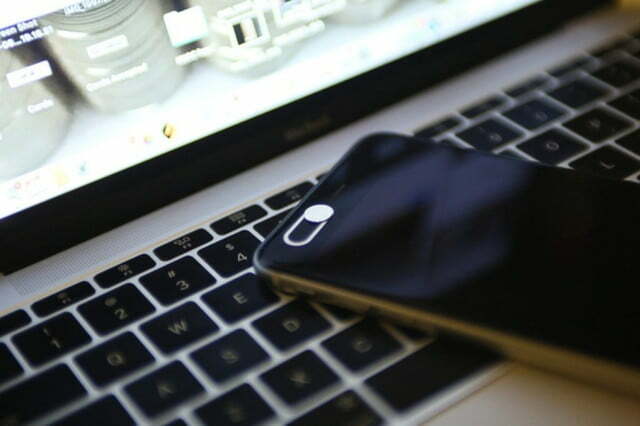 It fits nicely — and looks good — on most laptops, tablets, and smartphones, without obstructing indicator lights. And, unlike many competitors, the ISCC is made of steel rather than plastic. Love going to concerts, but worry that all that prolonged exposure to high-decibel sound will eventually catch up with you? It’s a tricky dilemma. If you wear hearing protection, you can’t hear the music as clearly as you would otherwise — but if you don’t wear protection, you run the risk of developing hearing disorders like tinnitus later in life. Don’t worry though. Luckily, there’s an upcoming gizmo called Earos that’s here to save the day. 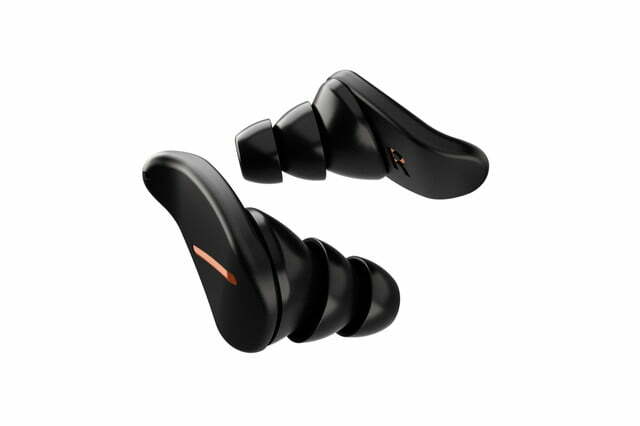 In a nutshell, Earos is basically the world’s most high-tech set of earplugs. According to the company, the plugs (which are passive and require no electrical power to operate) are made of medical grade composite plastic with a passive, resonant soundbore and acoustic filter that work together to allow full frequency spectrum, high-quality sound to pass through, while simultaneously blocking out higher decibel levels for your protection.